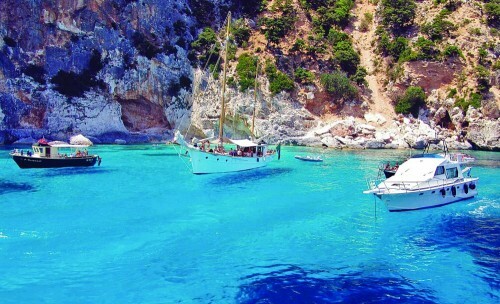 Cheap holidays in Sardinia: 7 nights in 3* hotel+return flight for €224! Ab in den Urlaub now offers amazing deals for early vacation in Sardinia. Return flight from Germany and 7 nights in great 3 star hotel will cost you only €224! Departure is possible from Basel, Köln/Bonn, Stuttgart, Berlin or Nuremberg. The 3 star hotel Residence Lu Nibareddu located in small town Porto Taverna has huge swimming pool and nice rooms. There is no transfer to hotel included but the hotel is located just 25 kilometers from the airport and connected with the airport bus. Travel dates are at the end of April, depending on your departure location. 27.4. – 4.5. (from Nuremberg). Flights are operated by Air Berlin and include 20 kg luggage. « Cheap flights to Maldives: Male for only €496!